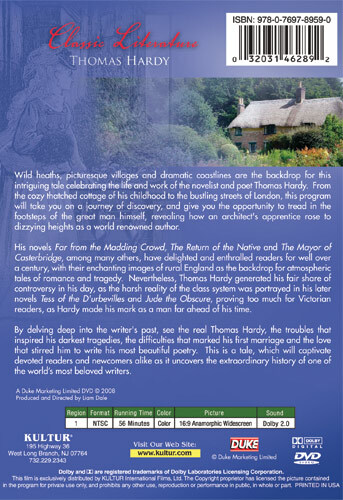 Wild heaths, picturesque villages and dramatic coastlines are the backdrop for this intriguing tale celebrating the life and work of the novelist and poet Thomas Hardy. From the cozy thatched cottage of his childhood to the bustling streets of London, this program will take you on a journey of discovery, and give you the opportunity to tread in the footsteps of the great man himself, revealing how an architect's apprentice rose to dizzying heights as an author of world renown. 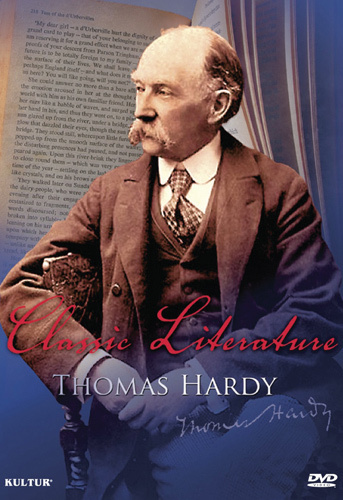 By delving deep into the writer's past, see the real Thomas Hardy, the troubles that inspired his darkest tragedies, the difficulties that marked his first marriage and the love that stirred him to write his most beautiful poetry. This is a tale, which will captivate devoted readers and newcomers alike, as it uncovers the extraordinary history of one of our most beloved writers.